We were able to add two more winners to the scoreboard by last Tuesday courtesy of the Simon Capon owned pair of Rigoletto and Star Gypsy. The former did well to come from last to first in a steadily run Yarmouth mile maiden and can hopefully continue to improve considering the amount of improvement he made from his first start. Star Gypsy had a fairly easy time on the front end against a substandard field in his maiden, again over a mile, at Wetherby, but he was visually impressive and looked very professional. Both are clearly progressive so can hopefully make their marks in handicaps. 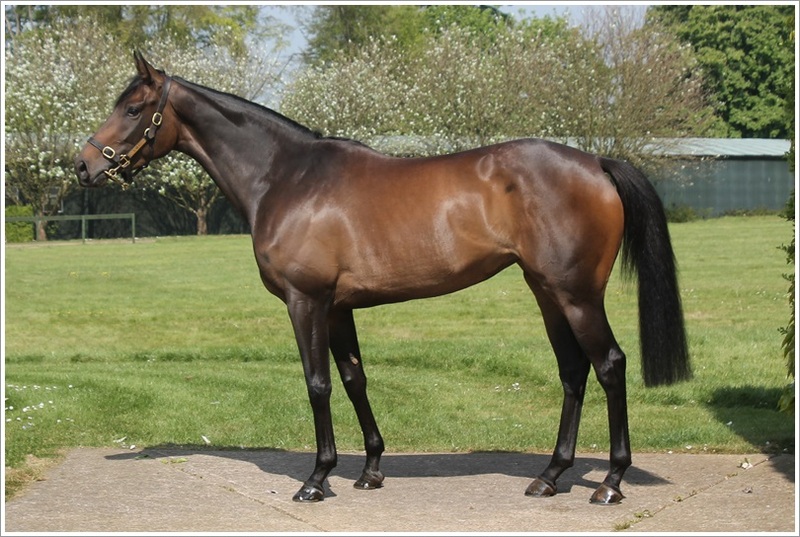 Our third winner came courtesy of God Given (pictured), who went close to breaking her maiden at Newmarket in May, and made the most of a good opportunity to get off the mark at Haydock on Friday. The pace was slow from the outset and God Given was briefly caught out as the field began to sprint for home. However, she is very genuine and was on top of the field by over four lengths at the line. Hopefully she will be able to pick up some black type as the season progresses. We had another crack at a mile and a half with Bedouin having put in a good effort when finishing fourth on unsuitably soft ground at York. He had good ground at Newmarket on Saturday, however, he was sluggish jumping out of the gates and then, once Adam Kirby had got him on to the bridle, he travelled too strongly for his own good. Adam produced Bedouin with a run with two furlongs to run but he could not sustain his effort and the general feeling was to drop him back to a mile and a quarter. Paris Rooftops finished fourth on her second start in a mile and a quarter maiden, at Goodwood on Sunday. She was forced to race prominently given the lack of pace in the race, and she was still green and a little unsure of herself in front in the straight. She should have gained plenty for that experience for that run and will tackle a mile and a half next time out. Kitty Boo made an encouraging seasonal reappearance when just getting touch off on the line over an extended mile at Nottingham on Sunday. She will have needed the race and hopefully she can shed her maiden tag next time out. The week ahead is a busy one, starting with three runners on Tuesday. Pacharana is down in grade for a fillies’ handicap over a mile and a half at Lingfield and should run well, while we also saddle La Rav and Dubara at Salisbury. La Rav is dropping back to seven furlongs from a mile which could be a little on the sharp side, although the stiff finish at Salisbury will help in that department. Dubara has not raced since her good third at Newmarket in April, mainly due to a lack of suitable opportunities. She was upset both in the preliminaries and after the race so has had some more training at home since then, which seems to have worked. We have two runners set for Wednesday, both of which are stepping up in trip. Beyond Recall, whose dam is a twice raced half-sister to the smart mile and a quarter winner Zomaradah, so she should appreciate the extra two furlongs at Yarmouth. Stylish Dancer will go up to a mile and a half for her second maiden start. The trip will help her, but she still has some learning to do, so she will come on for the experience. Spinnaka features amongst our three intended runners at Newbury on Thursday. She has finished second on three of her four starts and should be capable of picking up a maiden at some stage. Pleasant Surprise is working well at home and will step up to Listed company in the Lord Weinstock Memorial EBF Stallion Stakes. It looks a competitive race and she will have to take another step forward from her Wolverhampton maiden win, but she is entitled to do so on just her third start. Later in the week we have City Limits entered over a mile and a half at Goodwood. Both sides of his pedigree indicate that he should relish a stamina test, and he should improve as he makes his handicap debut. Vuela will also step up in trip to a mile and six furlongs at Sandown on Saturday. She did well to win on her reappearance at Doncaster in a steadily run race, and should have a big chance of completing her hat-trick with the emphasis more on stamina. Chief Craftsman is up in trip for his third maiden start over a mile and a half at Doncaster on Saturday. He improved plenty when second at Nottingham last time but will need to take another step forward in what looks a hot race at this stage. Buxted Dream has been put up 6 lb by the handicapper for finishing second at Chelmsford last time. He will stay in maiden company for a six furlong race at Lingfield on the weekend and, provided he does not miss the break like he did last time, he should go close. Al Shaqab Racing’s Mahabba may make her debut for us at Salisbury on Sunday. She is very well bred, by Galileo and out of a Group 3 winner, but might just need the run first time out.